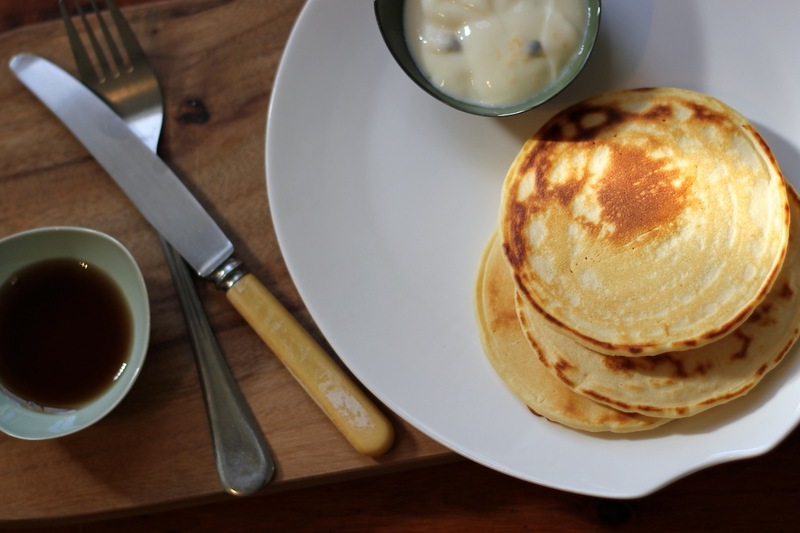 Having missed an opportunity through the week, Shrove Tuesday (aka Pancake Day), to indulge in one of my favourite dishes I felt it only fair and also necessary that I go against tradition and whip up a batch of pancakes on Sunday… so I’m 5 days late, who’s counting! 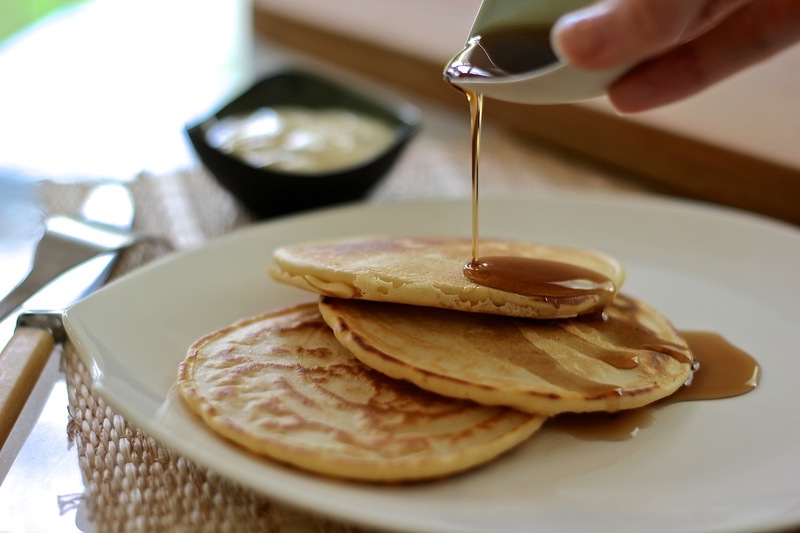 Pancakes taste better on Sundays! After flicking through a number of my favourite picture books, aah I mean cookbooks, without much luck, I opted to go with the basics. In other words I couldn’t find a recipe I already had the ingredients for in the pantry. So here is my very basic pancake batter. It only has three ingredients (I told you it was basic) making it really versatile. 1 2 3… eggs. flour. milk. 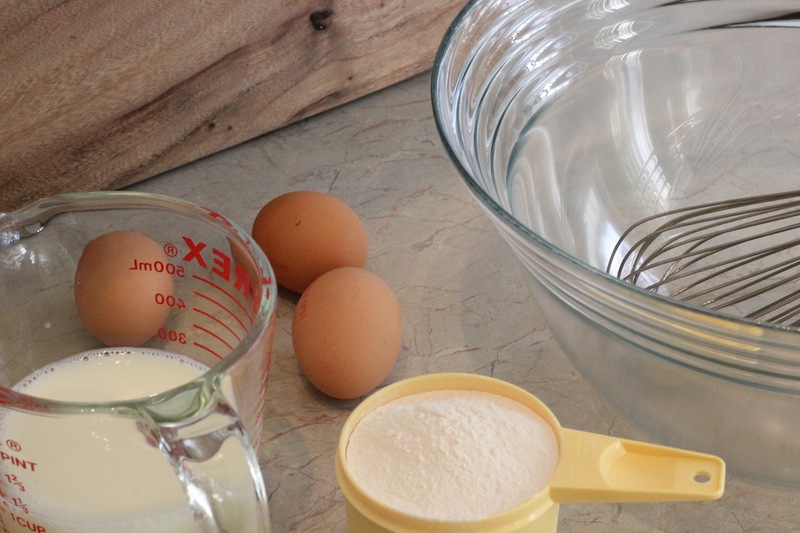 Add the flour, egg and half the milk to a large bowl and whisk together. Continue to add the rest of the milk gradually as you whisk. If you like your pancakes thick add a little more flour and if you like them thin or crepe like add a little more milk. Once you have a smooth batter you’re ready to go. 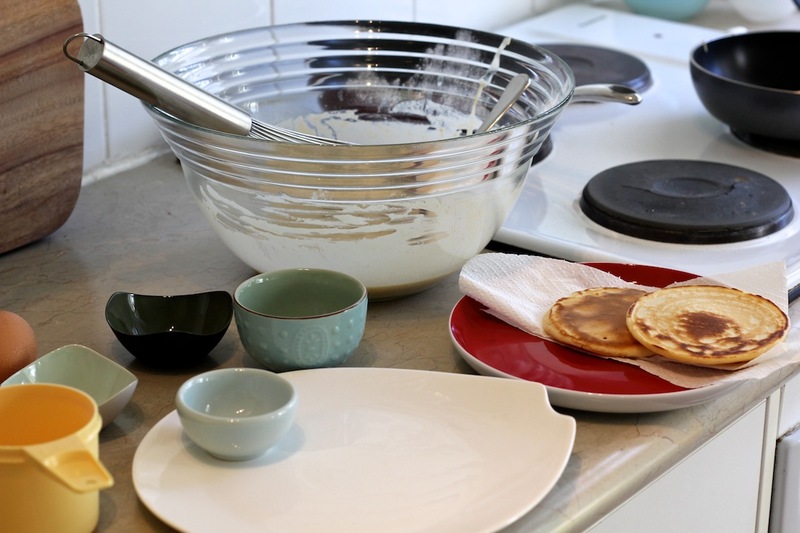 Pour the batter into a flat pan over a medium heat, you can make your pancakes as big or little as you like by the amount of batter you add in one go. The beauty about this recipe is you can add other ingredients into the batter. I usually add chunks of fresh bananas or berries, for sweetness and texture. While I haven’t added any table sugar to the batter you can. I have a sweet tooth so I like to add the sweetness at the table with plain or flavoured yoghurt, fruit, maple syrup (to be honest I just can’t have pancakes without this delicious golden brown syrup), lemon juice and brown sugar, sprinkling of icing sugar and thinly sliced strawberries with crushed almonds on top, a little Nutella with raspberries… and I could go on. Ready to go with a side of passionfruit yoghurt and maple syrup. What’s more you can also go savoury with this batter by including corn (fresh or canned) or by topping your pancakes with avocado and lemon juice, scrambled egg or smoked salmon and cream cheese. 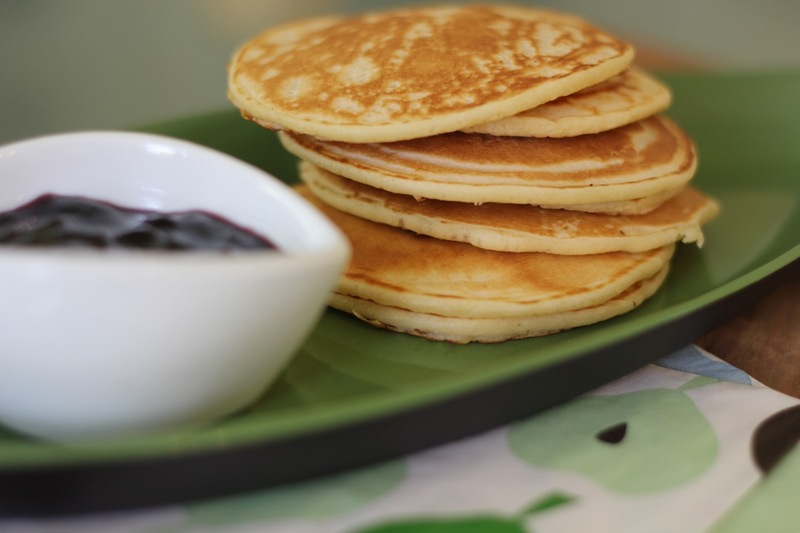 I always have left over batter so I cook up pikelets for afternoon tea with jam or save them to take to work as snacks. 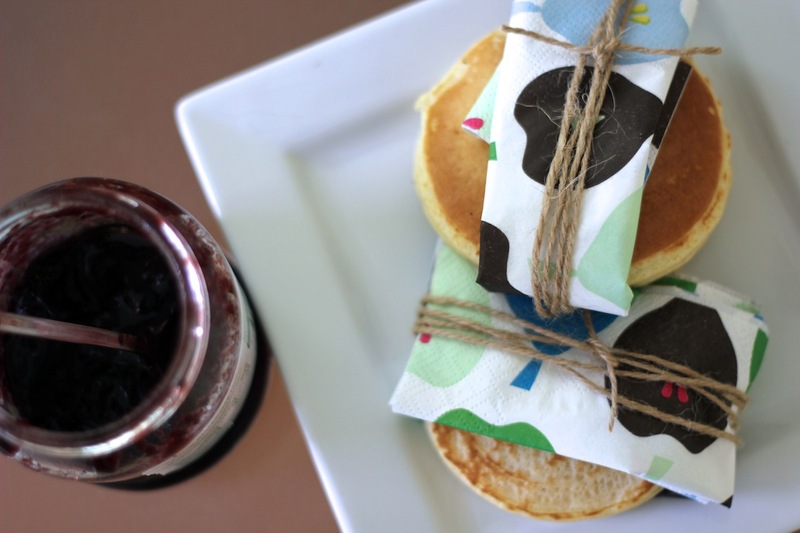 They’re also great for lunchboxes with a little jam or honey. 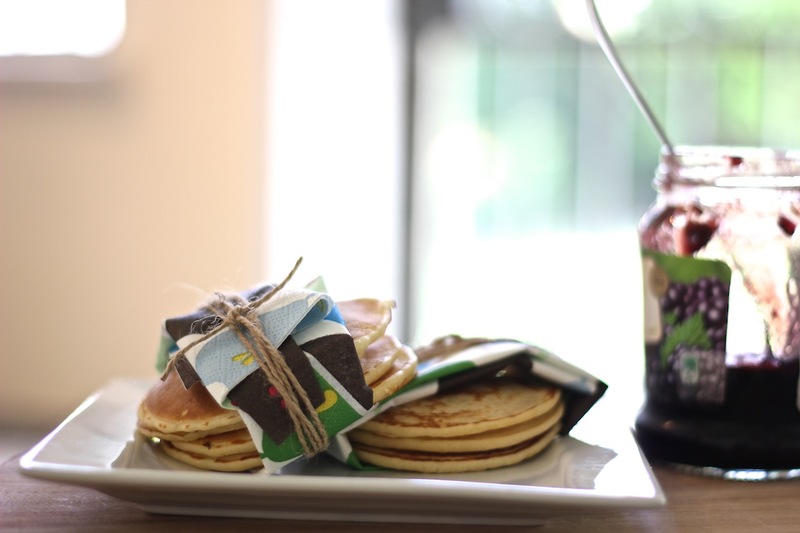 Pikelets with blackberry jam for afternoon tea. Leftovers make for yummy lunchboxes. With a dollop of blackberry jam between layers.